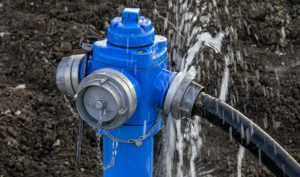 The wellpoint installation, often incorrectly referred to as a borehole, is an affordable option to access groundwater. A misconception about a wellpoint, is that you can choose whether you would like a wellpoint or a borehole installed. This is in fact, untrue. To establish whether you need a wellpoint or borehole call our offices for further information. Our wellpoints are installed in an efficient manner causing as little inconvenience to the client as possible. The site is kept neat and tidy at all times. Once the installation process has been completed our equipment is removed by our permanently employed skilled and trained staff members. The team then equips the wellpoint with the pump and related equipment. Our staff is trained to do this in an efficient and quality controlled manner. The wellpoint installation requires little maintenance provided it is looked after properly. The pump should be adequately protected from the elements. It is recommended to switch the system on at least once a week during winter to reduce the risk of malfunction at the start of summer. In the event of your system not providing water our efficient team assigned to your call-out will assess the installation and provide you with a solution. To prevent unnecessary expense maintaining your wellpoint system we recommend that you run the system for a few minutes at least once a week especially during winter. Should your system not function properly at the start of summer we recommend you call our offices immediately. Our office team are equipped to assess the problem and recommend the best course of action.